Nestled on 27 beautiful wooded acres just 30 minutes from Portland, Center Day Camp enjoys a serene and picturesque setting on the shore of Big Sebago Lake. 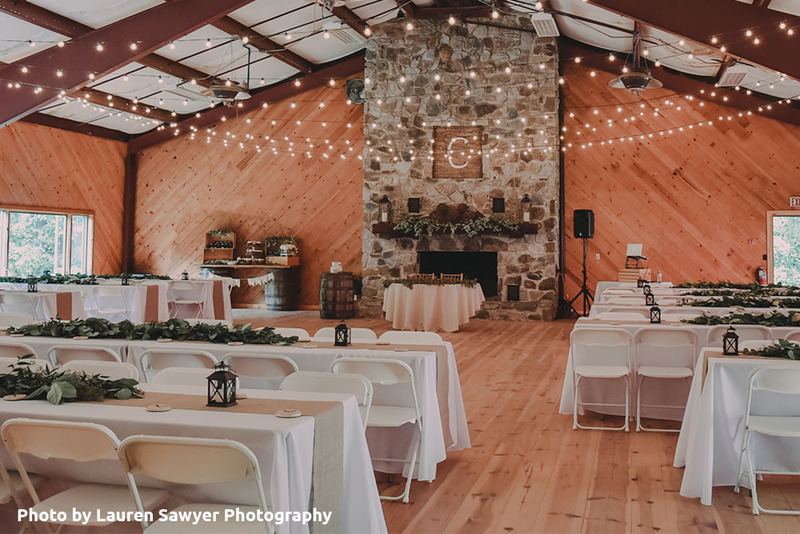 This private venue in Windham, Maine is surrounded by nature trails and provides an idyllic setting for weddings, family gatherings or corporate retreats. Our largest event space, The Shwartz Building accommodates up to 150 people comfortably. Its features include a working fireplace, a kitchen for food staging and large windows that allow ample natural light to brighten the space. The Shwartz Building is perfect for staff retreats, weddings and parties. The Center Day Camp beach features 600 feet of sandy waterfront on Big Sebago Lake. 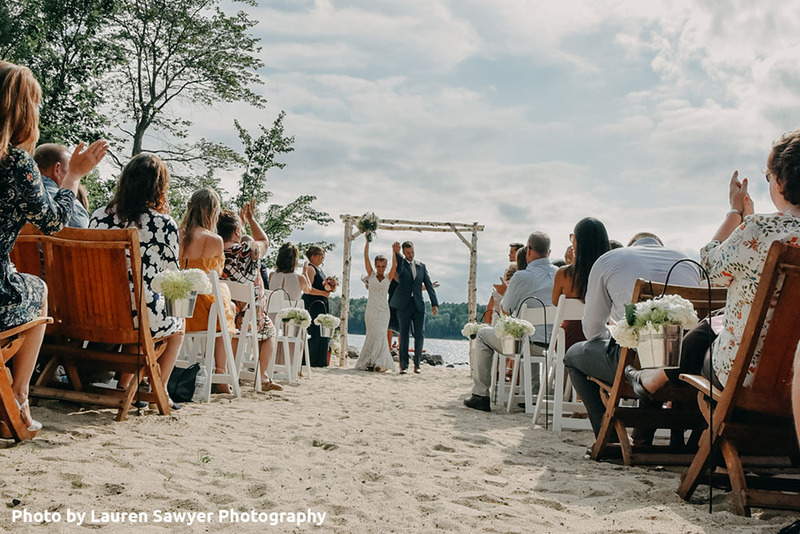 The Center Day Camp beach is perfect for waterfront ceremonies, outdoor gatherings and swimming during family friendly events.